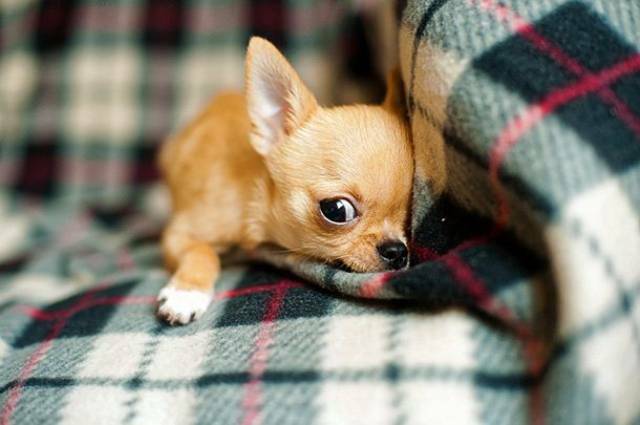 Everyone knows chihuahua’s are tiny, but they might not realize just how tiny they can be. The Guinness Book of World Records named Milly the Chihuahua the smallest dog in the world. She measured to be 3.8 inches (9.6 cm) tall, the size of about a high-heeled shoe. 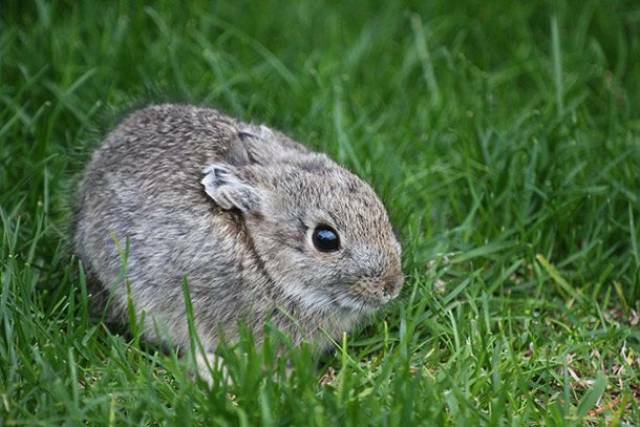 The pygmy rabbit is the world’s smallest and rarest rabbit. On average, their size can range from 9 to 11 inches (22.8 to 27.9 cm), and they weigh a little less than a pound. 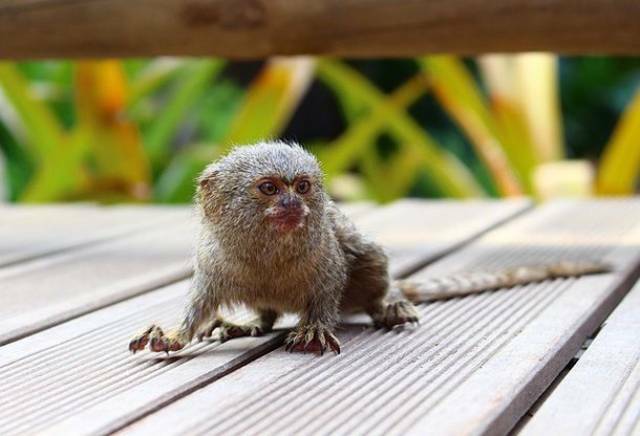 While the pygmy rabbit is the smallest rabbit, in the world of primates, the pygmy marmoset reigns as the tiny king. They reside in South America and look similar to a squirrel with no head. They’re so small, they could fit inside a human’s hand. They usually weigh 3 to 5 ounces and are only 6 inches (15.24 cm) tall. 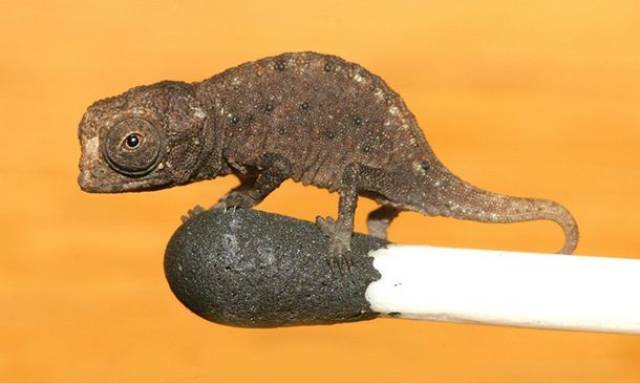 Found on the island of Madagascar, the Brookesia Micra Chameleon is the world’s tiniest chameleon ever discovered. It’s so small it can easily sit on top of the head of a match or the tip of a person’s index finger. Miniature horses can grow to be about the size of a medium-sized dog. 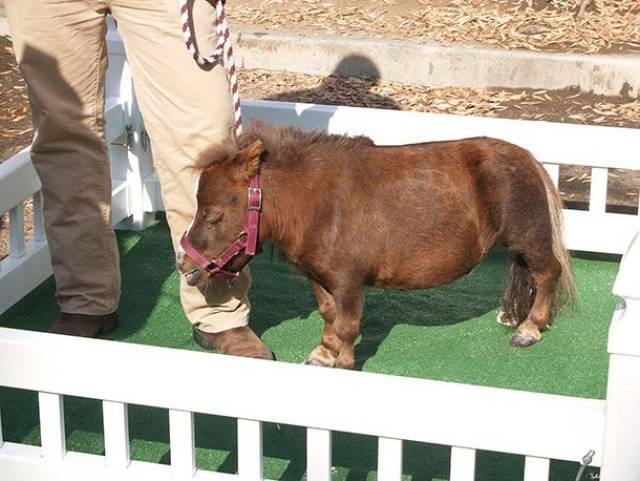 However, the world’s smallest horse was named Thumbelina, a miniature brown mare measuring at only 17.5 inches (44.5cm). The Guinness Book of World Records made it official in 2006. 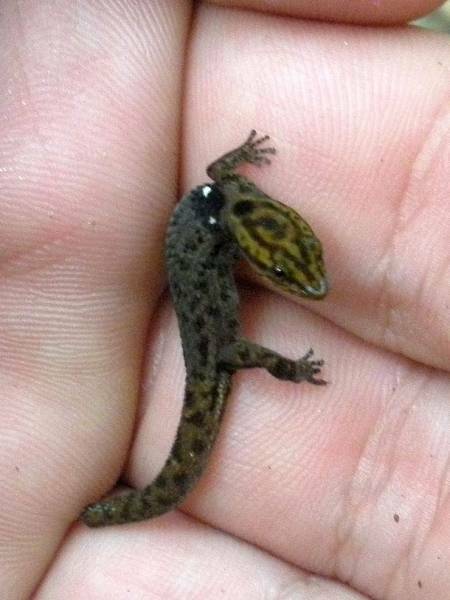 Scientists discovered the world’s smallest lizard in the Dominican Republica. The species is called Sphaerodactylus ariasae and can comfortably curl up on a U.S. dime. They roughly grow to less than an inch long or 16 millimeters. According to the Guinness Book of World Records, the smallest cat ever was discovered in Taylorville, Illinois. A male blue point Himalayan-Persian named Tinker Toy, when it was full grown, it measured at 2.75 inches (7 cm) tall and 7.5 inches (19 cm) long. 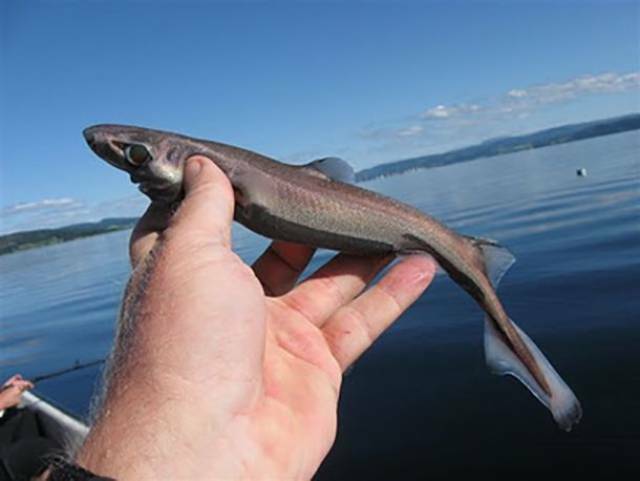 The Dwarf Lantern Shark is rare, swimming roughly 1,440 feet (439 m) below the ocean’s surface near South America. Not much is known about it. 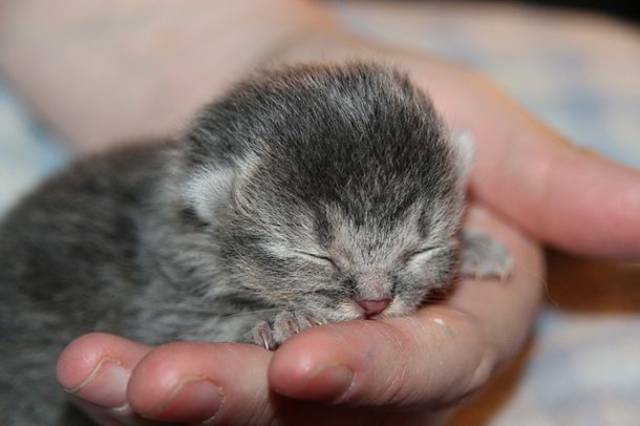 What we do know is they are small enough to fit in a human hand. 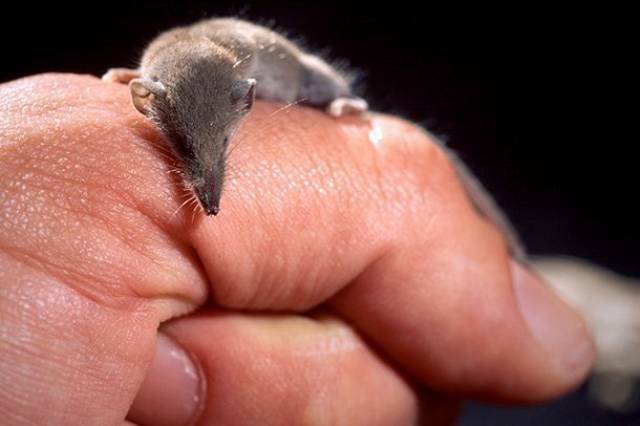 The Etruscan Shrew isn’t just the smallest shrew, it’s also the smallest mammal by mass. 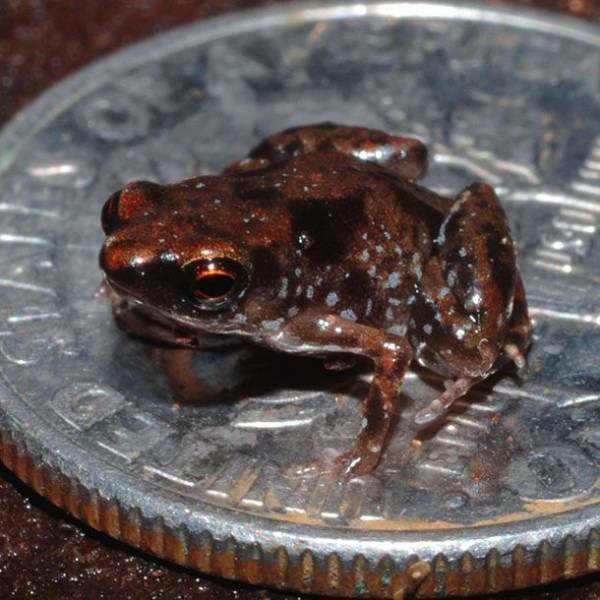 They usually weigh less than 2 grams and measure only 1.5 inches (4 cm). 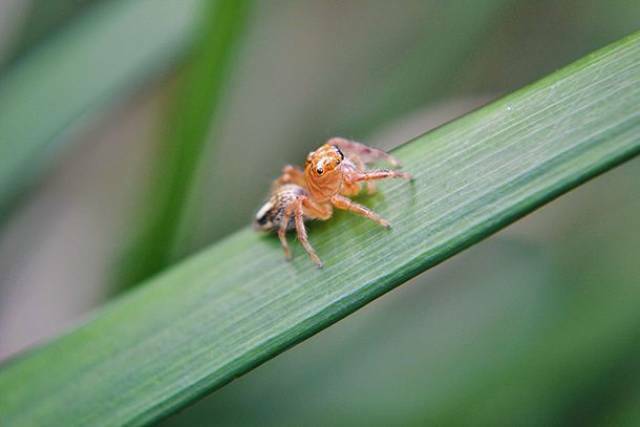 Even though they’re small, they have major appetities and eat twice their body weight every day. The Bumblebee Bat has two records under its belt. 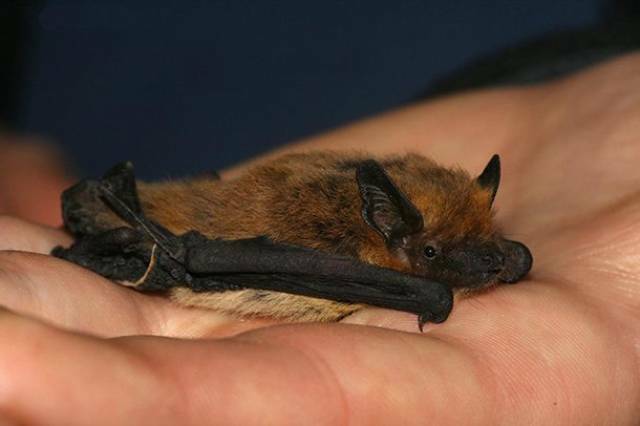 Not only is it the smallest bat, but it’s also the smallest mammal. On average, they’re about 1.2 inches long (33 mm) and weigh a mere 2 grams. 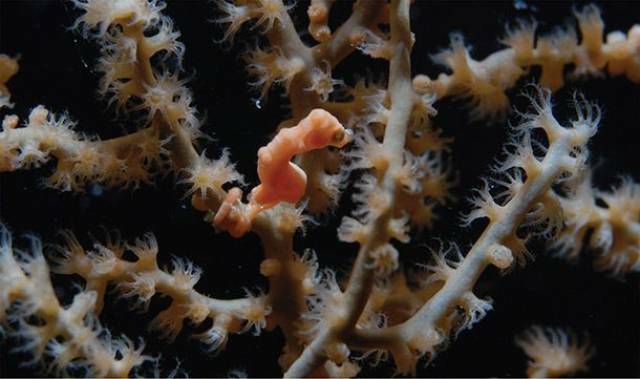 Marine biologists discovered the smallest seahorse in the western Pacific ocean. Known as Hippocampus denise, they originally thought it was a baby seahorse. Normally, the seahorse only measures at .6 inches long or 16 millimeters. 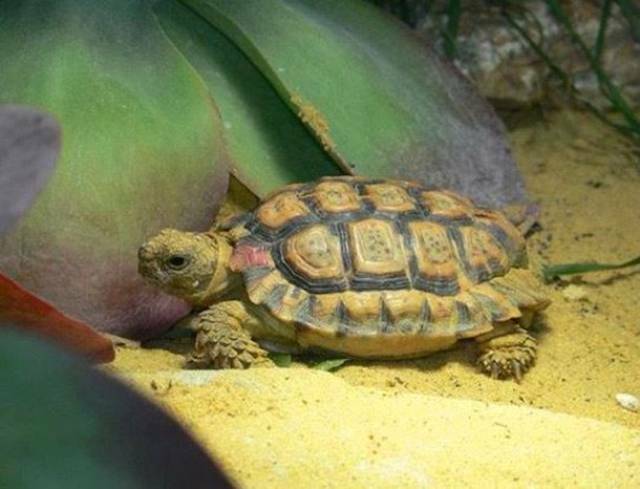 The Speckled Padloper Tortoise is, you guessed it, is the smallest tortoise in the world. Measuring only 3 inches (7 cm) for males and 4 inches (10 cm) for females, these little creatures can be found slowly crawling on paths of South Africa. The world’s smallest cow is named Manikyam. While it doesn’t fit in the palm of your hand, it’s still small as far as cows go. 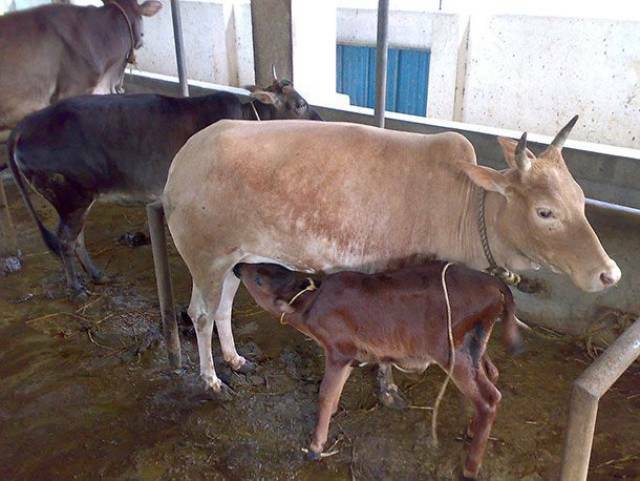 Measuring only 24 inches (61.5 cm), the small cow is treated as a pet by family who owns her. A frog the size of a housefly, the Paedophryne Amauensis Frog is the smallest known animal with a backbone. It averages around 7.7 millimeters long and looks like a tiny speck on a U.S. dime. 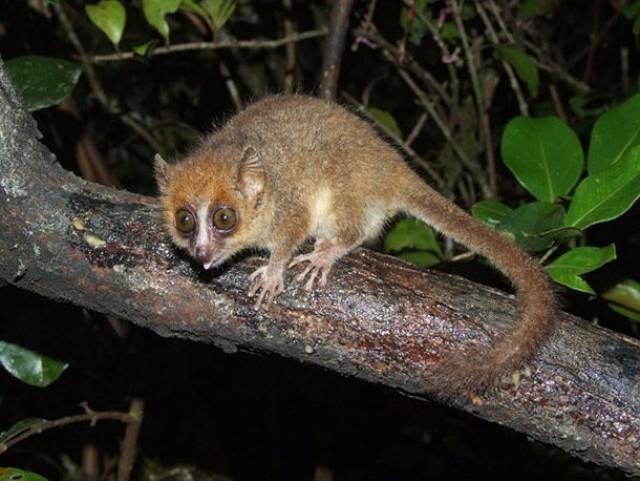 Living in Madagascar, the Pygmy Mouse Lemur weighs only around 2 ounces. Together, its head and body measure at roughly 2 inches (5 cm) long. Its tail, however, is twice the length of its body. 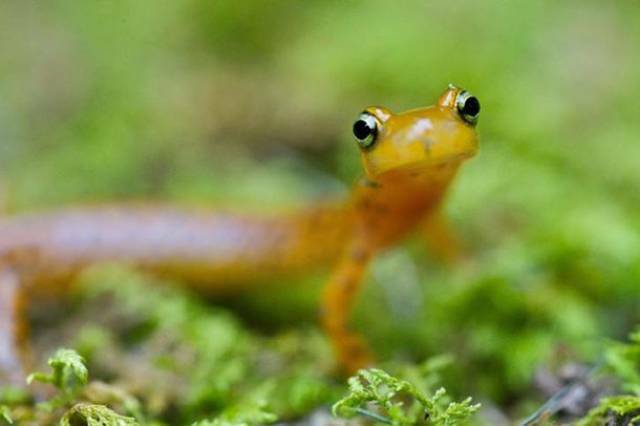 One of the smallest kinds of salamander is the Thorius Arboreus, living specifically in Mexico. It measures only to a mere 17 millimeters with a slender body and a wide head. Unfortunately, they’re an endangered due to farming and logging. We all know spiders can get pretty small, not to mention terrifyingly gigantic, but in this case, a Samoan Moss Spider won the Guinness Book of World Record’s award for smallest spider. It measured at only .3 millimeters. The vaquita is the world’s smallest marine mammal but sadly, it’s critically endangered due to illegal fishing practices. These tiny cetaceans on average only measure to be five feet (1 m) long. As of recently, only thirty vaquita were known to be left in the wild, a 97% drop from the year before the data was taken. 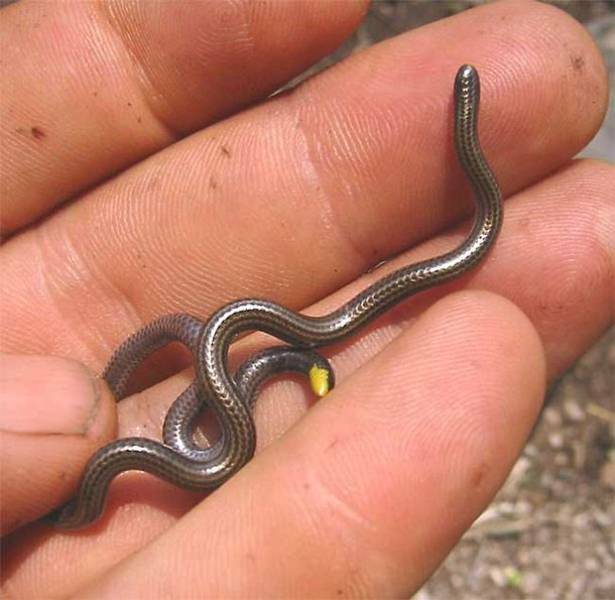 The smallest snake in the world was discovered on the island of Barbados. Measuring at only 4 inches (10 cm) long and about as thin as a spaghetti noodle, it’s a kind of rare threadsnake. Sadly, most of its habitat has been destroyed by farms and buildings. 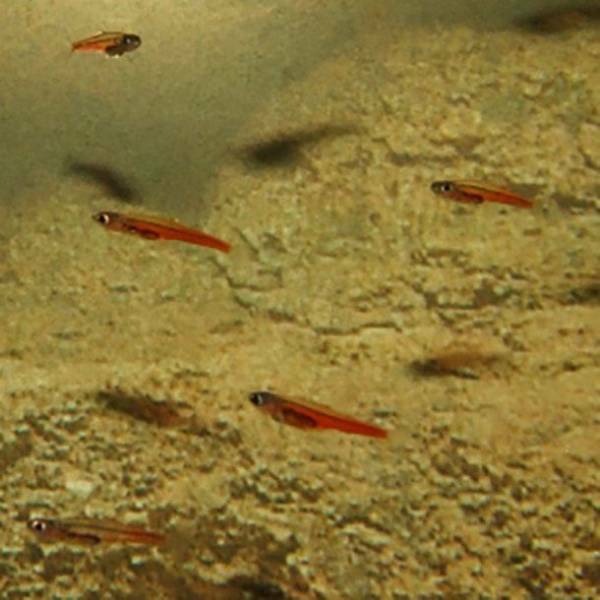 The Paedocypris Fish is the world’s smallest vertebrate. From head to tail it measures about 7.9 mm long and could fit comfortably on a human finger. But, that’s not the only interesting thing about it. It has the capablity to swim and live in highly acidic water. 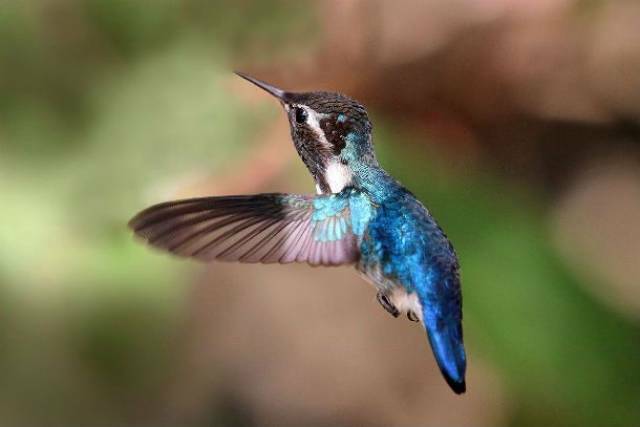 The bee hummingbird makes its home on the island of Cuba. It’s the smallest bird in the world, weighing only a mere 1/15 of an ounce. Its eggs are the size of coffee beans and its nest the size of a quarter. Because of its size, it competes with other insects rather than other birds. 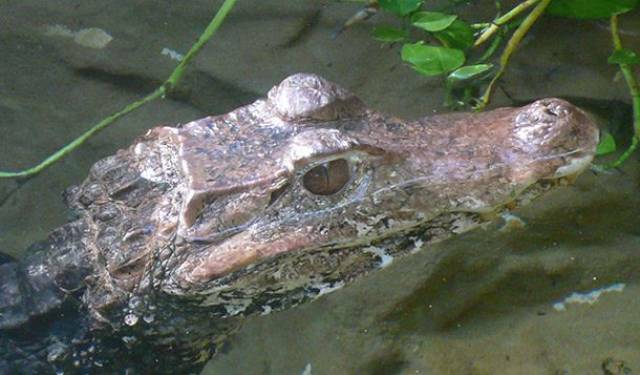 The Musky Caiman Crocodile swims up and down South American waters looking for vertebrates to chow down on. While it’s stature of four and a half feet (1 meter) might not illicite fear, they’re still dangerous. 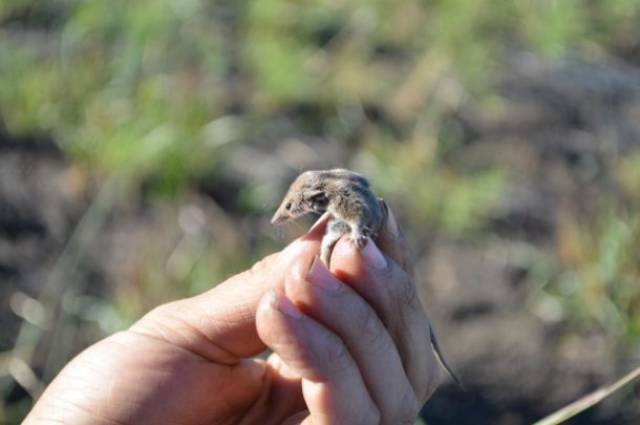 The Long-Tailed Planigale might look like a tiny rat, but it’s actually the world’s smallest marsupial. It’s about 2 inches (5.5 cm) in length with a tail about the same size or sometimes longer. They live primarily in the grasslands of Northern Australia. 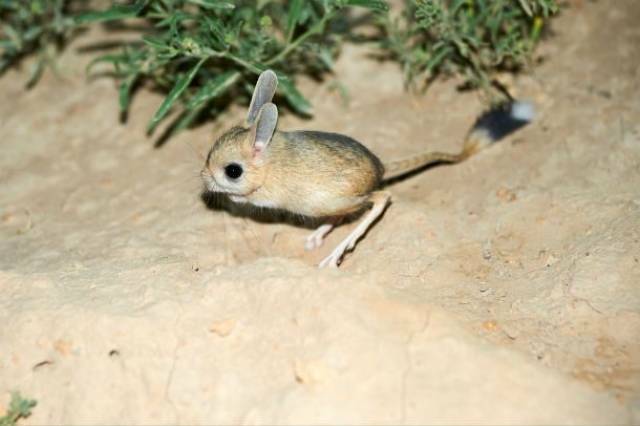 It looks like a cotton ball with two eyes and giant legs, but the Dwarf Three-Toed Jerboa is actually the world’s smallest rodent. It weights less than an ounce and has a body length of 1.7 inches (4 cm). Be careful, look at it for too long, and you might want to take the cute thing home with you. 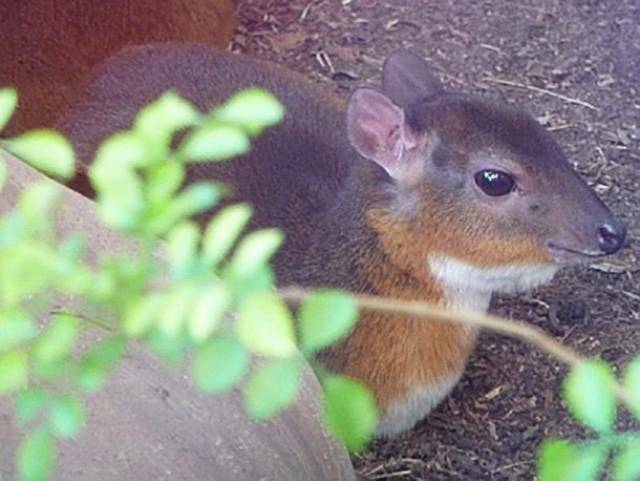 Living in the rainforests of Ghana and Sierra Leone, the Royal Antelope is the world’s smallest antelope, measuring around 10 inches (25 cm) and weighing about 5.5 pounds (2.5 kg). It’s very rare to see one due to its secretive and nocturnal nature.